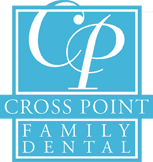 Custom dentures in Lowell, MA with Crosspoint Family Dental can help you regain your smile, confidence and the ability to eat your favorite foods. When you have missing teeth, your facial appearance can change, other teeth can sift, gums may be damaged and you may not be able to properly chew your food. With new dentures, we hope to restore your smile, allow you to eat more comfortably and to help you speak more clearly. Removable, full dentures are used to replace all of most of your natural teeth while partial dentures are used to replace one or more teeth. Dental implants may also be used to secure your dentures for increased functionality. Candidates for complete dentures have lost most or all of their teeth, partial is suitable if you have some natural teeth remaining. Complete dentures can be done for your upper or lower jaw, or both. Complete dentures are either “conventional” or “immediate”. This refers to when they are inserted into the mouth. Immediate dentures are inserted immediately after the removal of the remaining teeth. To make this possible, we take measurements and make the models of your jaw during a preliminary visit. Many choose immediate dentures because you don?t have to be without teeth during the healing period. However, your bones and gums can shrink over the time, especially during your healing period in the first few months after the removal of teeth. Immediate dentures require rebasing or relining to fit properly and to stay comfortable. Conventional dentures are made once your bone and gums have healed, which may take a couple months. Partial dentures can be made to be either removable or fixed. A removable partial denture consists of teeth attached to a gum-colored plastic base, which is connected by metal framework. Our office is open Monday-Friday. We offer appointments during the week and on Saturdays by arrangement only. We offer full dental services including dentures in our Lowell, MA office, located at 850 Chelmsford Street. We can be reached by phone at (978) 459-6467.